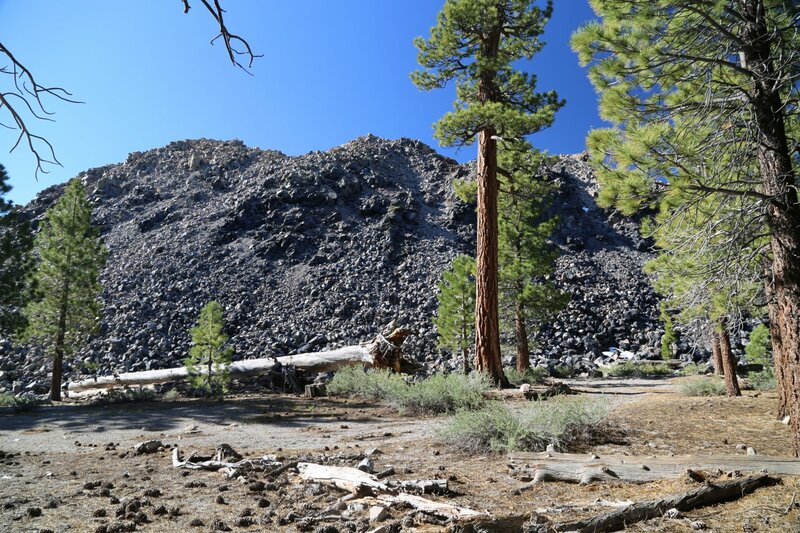 Going to Mammoth Lakes and deciding not to hike is like going to Disneyland and not going on any rides. 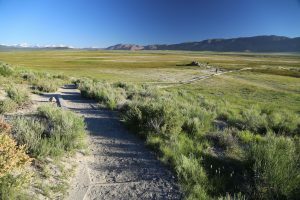 The town is surrounded by the rugged natural beauty of the raw Sierra Nevada – offering many hikes ranging from easy, to moderate to strenuous. Crystal Lake/Crystal Crag is a 1.75 mile hike. You can access the trailhead to the right of the parking lot entrance at Lake George. The trail climbs above lake George giving you good views. Duck Lake is a bit more of a hike. It is 5 miles but you don’t have to go all the way, as you can stop at lakes along the way such as Arrowhead Lake, Skelton Lake or Barney Lake. Emerald Lake to Sky Meadows . If you hike just to Emerald Lake it is a 3/4 of a mile or if you go all the way to Sky Meadows it is 2 miles. The trailhead begins at southwest side of the Coldwater Creek parking lot. Mammoth Pass Trail to McLeod Lake is a 1/2 mile hike. The trailhead begins at Horseshoe Lake. Just before the lake the trail forks, the left fork takes you to McLeod Lake, the right fork takes you to Red’s Meadows, which is another 3.5 miles. NOTE: The Horseshoe Lake area has been emitting dangerous levels of carbon dioxide since 30,000 foot subterranean earthquakes happened back in 1989. Warning signs are easily seen and the most dangerous areas are roped off. Look for the dead trees. 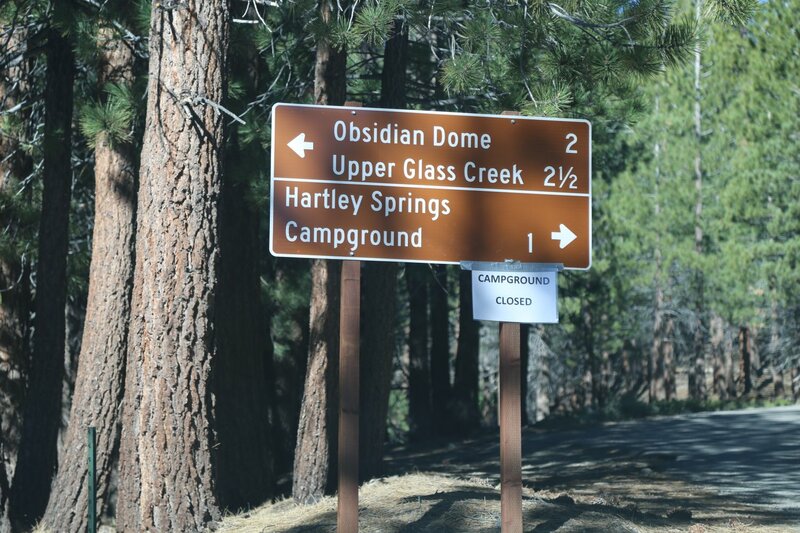 Obsidian Dome/Glass Flow – the obsidian dome is a 300 foot dome located about 15 minutes from Highway 395 via dirt roads (when dry easily accessible for 2wd vehicles). 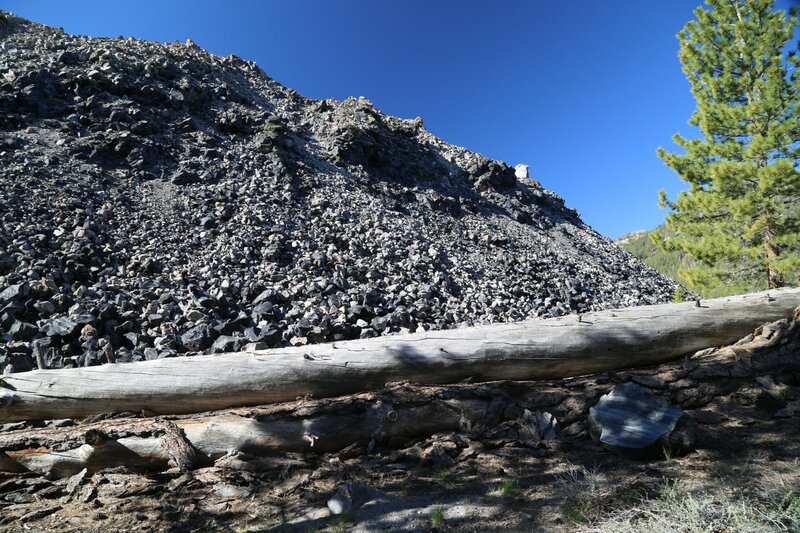 As you pull off onto Glass Flow Road (dirt) to the west of 395 you will climb through forests past what is a huge pile of volcanic obsidian rocks. There are several campgrounds in the vicinity and or places to pull off and dry camp. 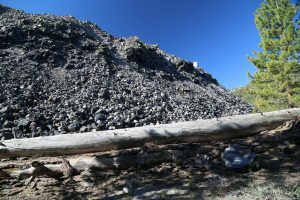 Hard to see through the trees – there are several pullouts on the north side of this dirt road – where you can park the car and hike through the trees to the edge of this giant glittering at times, glassy rock pile. Continuing further up the dirt road you will eventually reach a dirt parking lot where you can climb over the large rocks to the actual summit of the Obsidian Dome. Panorama Dome is a 1/2 mile hike. 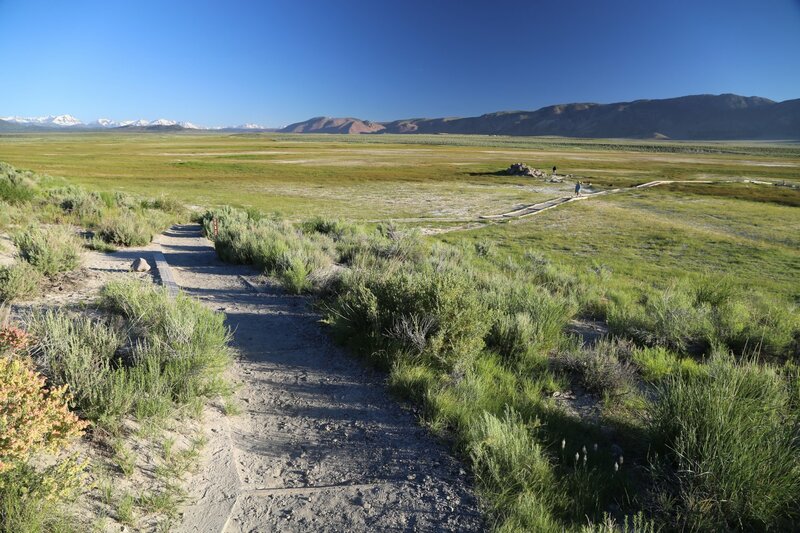 The trails starts in a forest then reaches the top of a plateau and affords excellent views of the town of Mammoth, the Owens Valley and Crowley Lake. You can access the trailhead just past the turnoff to Twin Lakes on Lake Mary Road. Manmoth Crest is a 3 mile hike. Note: part of this trail is the same as the above mentioned Crystal Lake trail. However, the Crystal Lake trail splits to the right about a mile down. Take the right trail and you will get good views of the Minarets and Mammoth Mountain. TJ Lake, Barret Lake is a 1/4 or 1/2 mile hike if you go all the way to Barett Lake. This trailhead is to the left of the parking lot entrance at Lake George. 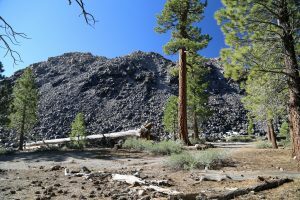 There are certainly numerous other hikes in the Mammoth area. If you have been on some, please email me dave@pon.net with your experiences.